Obituary – Lynch, Howard Dayle « Perry High School Alumni Association, Inc.
Howard Dayle Lynch, age 78 and resident of Nowata, left this life Monday morning, February 23, 2004, in the Oklahoma Veteran Center at Claremore. Graveside services for Mr. Lynch were at 11:00 A.M. Wednesday, February 25, 2004, in Nowata Memorial Park Cemetery. Reverend Linda Baggett officiated and thee District 5 Rilf Squad provided military honors. Interment was under the direction of Benjamin Funeral Service of Nowata. The family suggests that friends who wish to may remember the Nowata City-County Library. Howard Dayle Lynch began this life on March 15, 1925 in Perry, OK as the son of Charles W. Lynch and Frances Mott Lynch. Mr. Lynch grew up in Perry and was a graduate of Perry Hign School, class of 1943. Mr. Lynch was an outstanding athellete at Perry, where he was quarterback for the football team and also played American Legion baseball. He entered the Air Force in June of 1943. He achieved the rank of Staff Sergeant and was based in Italy where he served as a waist gunner on a B24. Mr. Lynch flew 50 combat missions, and was during this time, was shot down over Yugoslavia. He was discharged in October of 1945. Mr. Lynch was married to Catherine V. O’Neil on July 21, 1946 in Perry, OK. He began his college education at Northern Oklahoma Junior College in Tonkawa. Mr. Lynch spent one semester at Northern and transferred to Oklahoma A & M at Stillwater where he received his Bachelor’s degree in 1949. He received his Master’s degree from Oklahoma State University at Stillwater in 1958. 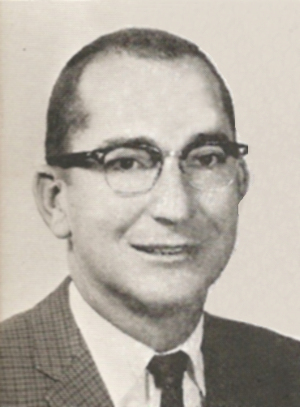 Mr. Lynch did additional Graduate work at Tulsa University, and was awarded the National Science Foundation Scholarship Award through Oklahoma University in 1972. Mr. Lynch taught at Pioneer School near Enid for 2 years, and for 3 years at Billings, OK. He came to Nowata in 1956 where he has been a teacher, and for the last 18 years was the Elementary Principal. Mr. Lynch retired in 1984. He was a member of the First Untied Methodist Church in Nowata where he had taught Sunday School, served on the Board, served on many committees and was a Boy Scout Master. Mr. Lynch was also a member of the American Legion, and various teacher’s organizations. He was an avid outdoorsman and enjoyed gardening, golf, fishing, and the birds. Mr. Lynch is survived by his wife, Catherine Lynch of the home, by one son, Howard Dayle Lynch, Jr. of Flowery Branch. GA, by one grandson, Adam Curtis Lynch of Orlando, FL, by other relatives, and by his many friends. Mr. Lynch was preceded in death by his parents and by four brothers.